Parvais Jabbar MBE from West London, a leading human rights lawyer who has campaigned against the death penalty for over 20 years, has been awarded with an Honorary Degree at the Middlesex University’s graduation ceremony today. Parvais is the Co-Executive of the The Death Penalty Project, an international legal charity based in the London firm of Simons Muirhead & Burton Solicitors. He specialises in representing prisoners sentenced to death around the world in both criminal and constitutional proceedings as well as bringing cases before international tribunals and courts including Inter American Commission on Human Rights and the United Nations Human Rights Committee. He has assisted local lawyers in appeals before the Supreme Courts of Uganda, Kenya, Malawi and Singapore in cases concerning the death penalty. “I am extremely honoured to have been recognised by Middlesex University in this way. It is a privilege to accept this award for doing something that is immensely challenging but also very rewarding," says Parvais. Today’s award comes after a long list of recognition for Parvais. In 1999, he was the joint winner of the Times/Justice Yong Lawyer of the Year award, in 2008 he was recipient of the Pro Bon Lawyer for the Year award by the Society of Asian Lawyers and in 2012 he was awarded an MBE for services to human rights. 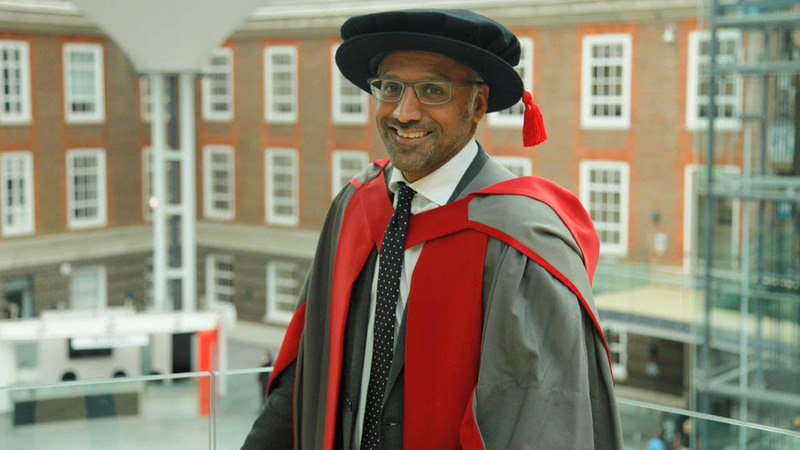 “It is a real privilege for Middlesex University to be able to recognise expertise, public duty and creativity by offering outstanding individuals one of our Honorary Degrees. I am delighted to be able to play a part in today’s ceremony and want to congratulate each recipient. Their achievement is very well deserved,” comments Vice Chancellor of Middlesex University, Professor Tim Blackman.